The Tonight Show Starring Jimmy Fallon isn’t the only TV show on which Colleen Ballinger (who plays the stand-offish YouTube star, and kinda friend of Jerry Seinfeld, Miranda Sings) has recently made an appearance. 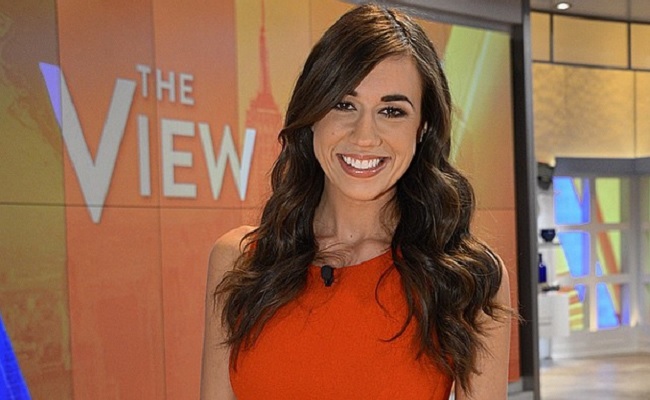 The YouTuber boasting 3.4 million subscribers across three channels was a guest host on ABC’s The View on January 22, 2015. Ballinger joined The View’s Nicole Wallace, Rosie O’Donnell, and fellow guest host Michelle Williams in discussing some of the most talked-about news stories of the day. The four ladies start off by defending or criticizing the New England Patriots due to the team reportedly using deflated balls during the NFL playoffs, and move into topics like first kisses and cyber-bullying. At one point, Ballinger inadvertently brought up how she and her fiancé argue about how to pronounce the word eggs, and the conversation degrades into all four women trying to figure out the “right” way to say the word. Ballinger also took over The View’s Instagram account for a while and posted several pictures of herself and the other ladies preparing to appear on the show. Getting excited! What do you think we will chat about today on #TheView? You can check out Ballinger’s episode of The View on ABC.com if you can verify you have a paid TV subscription (like through Comcast). Otherwise, a fan-based YouTube channel dedicated to The View has posted the full episode for your viewing pleasure.